I got a tank top recently, but it hurts me at the shoulders. Because the straps are short for me, and the stitching at the strap hurts my shoulders. And put my favorite double gauze fabric, making the strap longer to fit my shoulders. Now, I can wear it comfortably. 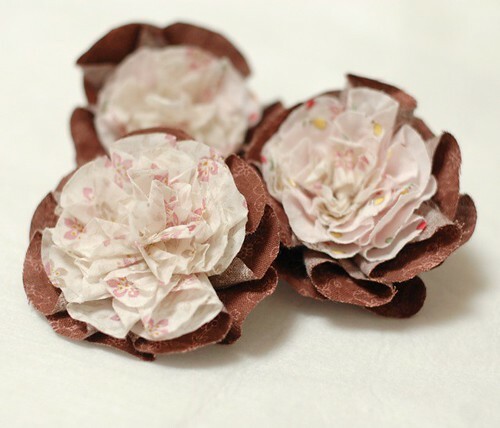 And I made these flowers recently. I mixed water and glue, and rinse small pieces of cotton in it. Then I dried them. They became crisply and they don't fray easily. I made these flowers with the pieces. I wanted to make a flower like dahlia, but I couldn't... I'll try again! Very pretty flowers, they remind me of carnations. 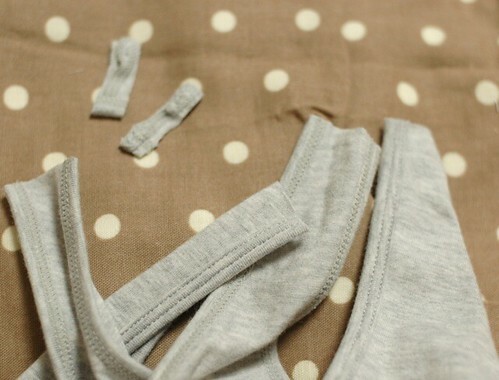 I like the way you fixed the problem with your tank top. I've had that problem before, with a thick seam that presses into the skin. It's annoying! Thank you very much for your comments. Hello Parallel-botany, oh, you had the same problem. I don't like thick seams! Hello Mena, I'm happy to hear you could have time to sew! I'd like to write the recipe here. Please wait for a while. I cut each petal(half circle shaped), fold each side and put one by one. Could I explain well? I just found your blog today and I wanted to say thank you and I love it! 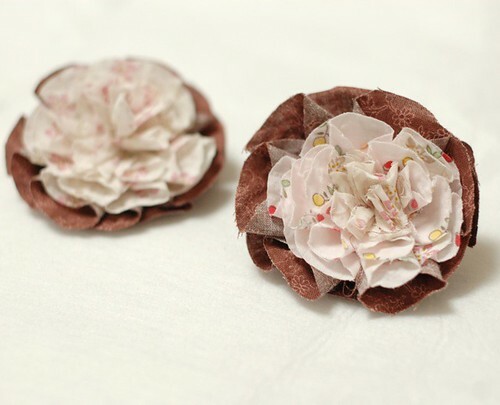 Your hand sewing is so beautiful and you make the loveliest tiny things - I can't wait to try some of your projects. I think I'll make a book cover first. Thank you again, I'm looking forward to what you may write about next! I have been reading for awhile. Everything you do is so great. I love the flowers - they are so full and almost look real. And you make your tank top feel better and look great. Your Blog is so informative ...keep up the good work! Thank you for the great resources! My new american fabrics and new skirt! !